The Schafer Law Office, a law firm handling Kentucky personal injury cases, has been nominated for Greater Louisville Inc.’s 13th Annual Inc.credible Awards, presented by Strothman and Company PSC. Inc.credible Awards celebrate and recognize outstanding small businesses that drive job growth and wealth creation in Greater Louisville. The 2013 Inc.credible Awards are awarded in a series of categories namely Very Small Business of the Year Award (one to nine employees), Small Business of the Year Award (10 to 100 employees), Innovation/Technology Utilization Award, International/Global Award, Health and Wellness, Greening/Sustainability Award, Inclusion Award and Non Profit Award. Asked about the nomination, Kentucky Personal Injury Lawyer Mike Schafer said that he is humbled by just being nominated. Online nominations were held from April 22 - May 10, 2013 and people who submitted nominations remained anonymous. “This is the first time The Schafer Law Office has been nominated. I hope that I am doing a little to give back to the city,” he added. Related: What Edge Does The Schafer Law Office Provide For Their Clients? 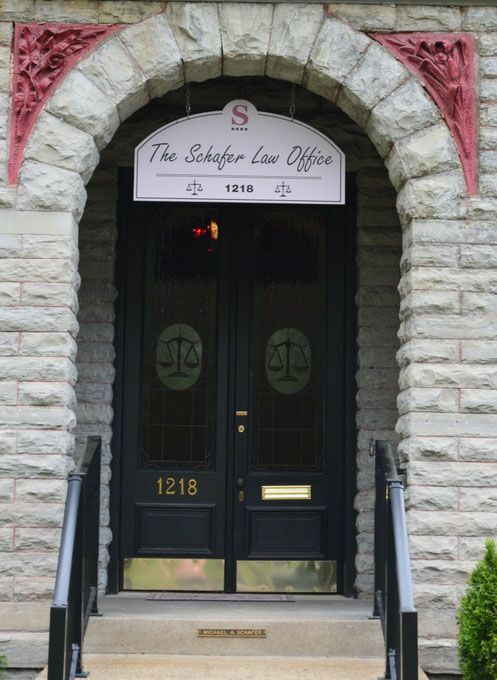 The Schafer Law Office is composed of an experienced and dedicated staff including: JD Duran (Marketing Director), Leta Hecker (Case Manager), Paula Brown (Secretary), Rachael Schafer (Marketing Assistant), Angela Morrow (Paralegal) and Matthew Kinney (Law Clerk). Schafer believes that by helping those that have been injured through no fault of their own and helping them fight their battle against the insurance companies to get fair and just compensation, he, together with his staff, is making Louisville a better place to live. On August 23, 2013, this year’s winners will be announced at the Inc.credible Awards Luncheon. More than 500 business and community leaders are expected to attend and honor Louisville’s top small businesses, which continue to contribute to the region’s economic vitality. Integrity HR, Inc, Denzinger Family Dentistry, Social Media Explorer and Louisville Geek were among the 2012 Inc.credible winners.